Operation Mother Bear is Go! It’s here! It’s here! My pattern showed up in the mail, and I’m dropping all my Christmas knitting to start on my first bear! 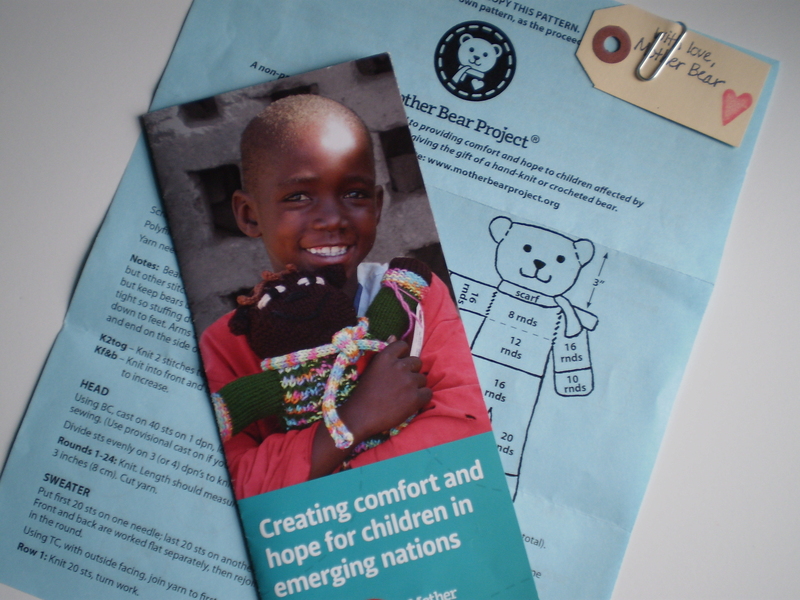 For my $5 donation, I received a beautiful (and heartbreaking) pamphlet on the Mother Bear project (can a pamphlet be heartbreaking? ), my very own copy of the knit-in-the-round pattern, and an adorable tag for me to sign and tie around my finished teddy’s wrist. Upon examination, the pattern looks well-written and straightforward, and I’m raring to get started! I dug through my stash, and found some nice heathered merino (leftover from designing my Human Beans) in lovely mahogany, evergreen and grassy green shades. It’s super soft, and pretty strong-perfect for a stuffed animal. 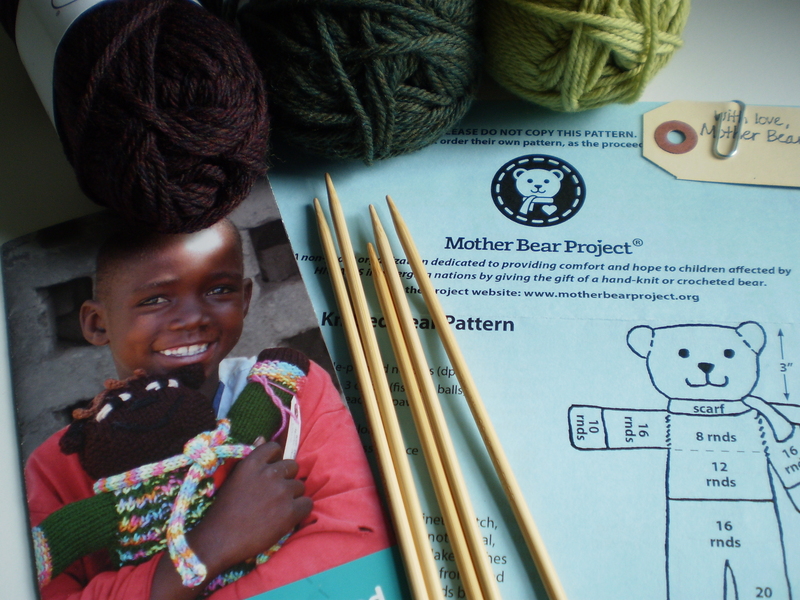 Have you gotten to start on your Mother Bears yet? Did you order your pattern? It’s not too late! This entry was posted in Knitalong and tagged charity, knit, knit in the round, knitalong, mother bear, mother bear project, mother bear teddy bear, on the needles charity knitalong on October 23, 2015 by onemilljellybeans. That looks fun!!! I may have to do this! So fun! And it’s for a good cause! Do it! I have my pattern but haven’t started my bear yet…probably this week.